He altered the course of Western art with a completely new approach to light and form, yet barely 50 works created by Caravaggio during his 38 years have survived. Now scholars claim that one more, a previously unknown painting, has been discovered in a private collection in Britain. 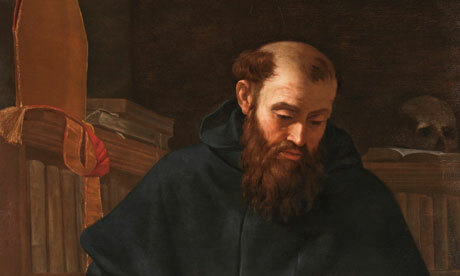 The oil on canvas depiction of Saint Augustine, an expressive, mature work dated to around 1600 – when he was 28 – is to appear in print for the first time in a book on Caravaggio produced by Yale University Press. Alien Spacecraft Or Giant Turd?